Today, Microsoft is trying to keep up with other tech giants, but fifteen years ago, the company was regarded as a leader in technology. about the connected home of the future. While the bulky 90s products, like a cell phone that looks more like a Game Boy, have since rendered themselves obsolete, the tech featured in the video — voice recognition, biometric identification, and more — is pretty spot-on. The six-minute video depicts a family interacting with futuristic technology integrated into their homes. What the company got wrong in the video is creating most of its products around the PC, and ignoring mobile. That said, most of what Microsoft predicted we’d be using in our homes tech-wise today is actually pretty accurate. 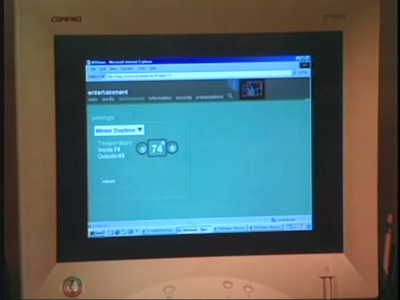 In the video, Robin pulls up a map on the desktop PC in the kitchen. She can see where her husband's car is on the map, and then calls to ask him to stop at a nearby grocery store on the way home. Today, people rely on location-based services and apps -- from Google Maps to Uber -- regularly. Today, we have Siri, Cortana, or Google Now. Back in 1999, Microsoft's virtual personal assistant was named Astro. Robin gives Astro voice commands to add food to a shopping list, make phone calls, and more. 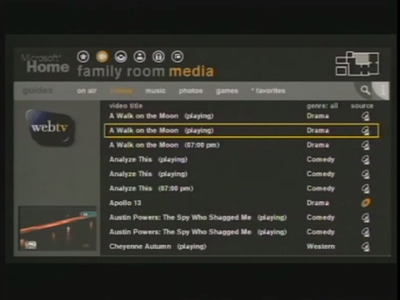 In Microsoft's smart home, you can watch TV and choose from cable, DVD, or Internet channels in one interface. It's not unlike Roku, the Amazon Fire Stick, Netflix, Hulu, or any of the other streaming options we have today. 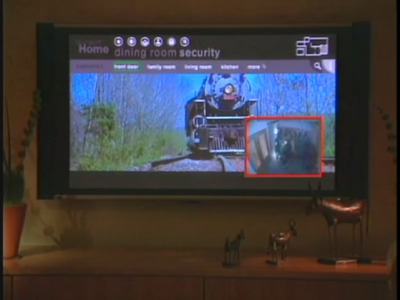 Using connected screens around the home, the Microsoft family can communicate from anywhere around the house. 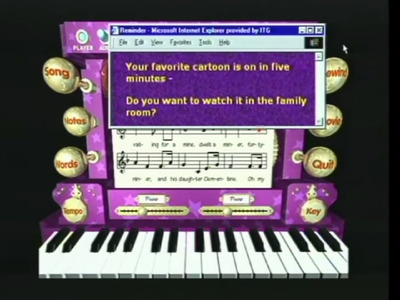 There's a screen on the daughter's piano to let her know when her favourite TV show is on, and a message pops up on screens around the home (including TVs) to let everyone know when dinner's ready. There are connected screens everywhere. Microsoft predicted the Nest thermostat. In Microsoft's video, the family controls the home's thermostat through a mounted wall pad. Not so different from the Nest thermostat. In the video, Robin lets her daughter know when dinner will be ready by pinging her on her 'pocket PC.' These days, that's called a phone. When Robin gets home, she looks into an eye scanner, which unlocks the front door of the house. It's increasingly routine to use some form of biometric identification as a security measure -- from an iPhone fingerprint reader to a number of fingerprint-enabled door locks. A company called Eyelock says it can use 'iris authentication technology' as a security measure for your home, too. A version of the smart lock. The security system also deflects unwanted visitors. When a salesperson comes to the home, he finds a screen that only gives him the option to leave a message for the family. 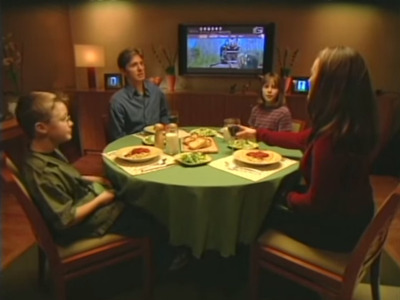 The family can see the visitor coming in a pop-up window on their dining room's security screen. A barcode scanner to keep your grocery list up to date. Whenever the family in Microsoft's smart home runs out of a particular food item, they use a barcode scanner to scan that item. The item gets added to a computerized grocery list. As Gizmodo points out, this already exists in the form of Amazon Dash, which lets you scan food items to add them to your AmazonFresh account. Here's the full video if you want to check it out for yourself.